Now if my pockets were overflowing with money, I would love to do this in one of our washrooms. 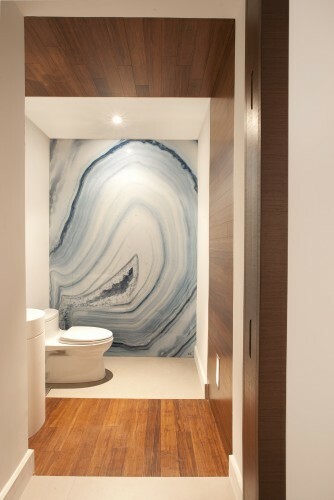 An entire marble slab as a feature wall or better yet, as a shower wall - yipee no grout lines to clean! On a trip to Mexico one year we stayed in a hotel that had delicous brown marble slabs for the shower walls. I absolutely loved showering in that shower and still dream of it to this day. 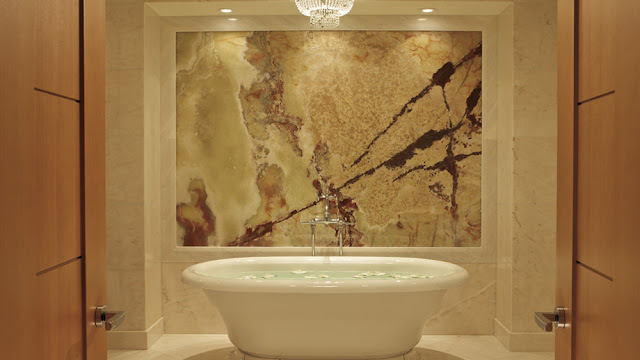 Which of these marble slabs do you like best? 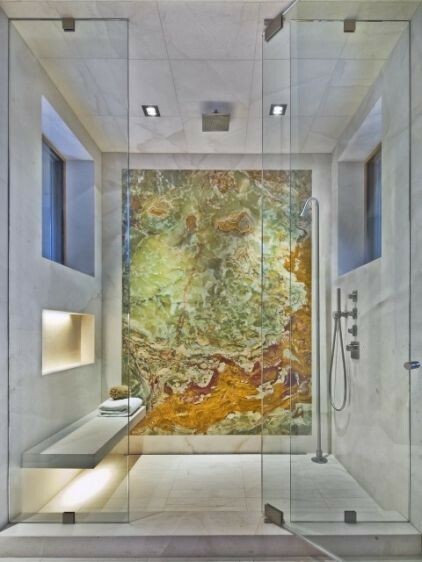 I would take this shower in a heartbeat, but would switch the slab for the blue marble one. What about you, which would you choose?